DIETARY REQUIREMENT FOR SERUM-DERIVED BOVINE IMMUNOGLOBULIN (SBI) IN THE CLINICAL MANAGEMENT OF PATIENTS WITH ENTEROPATHY - Entera Health, Inc.
Entera Health, Inc. Announces Manuscript to be Published Describing a Distinct Nutritional Need for SBI in Patients Who Suffer from Diarrhea-Predominant Irritable Bowel Syndrome (IBS-D). 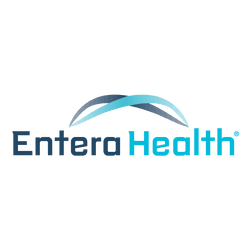 Entera Health, Inc. announced today a new manuscript to be published in the journal Digestive Diseases and Sciences (Springer) on how EnteraGam™ (serum-derived bovine immunoglobulin/protein isolate, SBI) provides for a nutritional requirement for patients who suffer from enteropathy associated with diarrhea-predominant irritable bowel syndrome (IBS-D) or infection with the human immunodeficiency virus (HIV). Authors include Bryon Petschow, PhD; Bruce J. Burnett, PhD; Audrey L. Shaw, PhD; Eric M. Weaver, PhD; and Gerald L. Klein MD. This review article summarizes recent publications and provides insight on the interactions of various factors associated with the gastrointestinal tract that impact nutritional status in patients with enteropathy and contribute to the pathophysiology of IBS-D. Studies in humans provide evidence that EnteraGam™ is safe and improves nutritional status and gastrointestinal symptoms in patients with enteropathy associated with irritable bowel syndrome (IBS). The review summarizes studies showing the impact of enteropathy on nutritional status and how specially formulated bovine immunoglobulins may help restore intestinal homeostasis and nutritional status in patients with specific enteropathies. Such protein preparations may provide distinct nutritional support required for the dietary management of patients who, because of therapeutic or chronic medical needs, have limited or impaired capacity to digest, absorb, or metabolize ordinary foodstuffs or certain nutrients, or other special medically determined nutrient requirements that cannot be satisfied by changes to the normal diet alone. An expert panel of well-known academic gastroenterologists will be publishing a paper on how EnteraGam™ supplies a specific nutrient needed to help those patients who suffer from IBS-D and enteropathy in the near future. Enteropathy is frequently found in association with several human disease conditions, including IBS or HIV infection, and is caused by pathological changes in the lining of the intestinal tract. Such changes disrupt the homeostasis of the GI tract and lead to symptoms of abdominal pain and discomfort, bloating, and abnormal bowel function (e.g., diarrhea, urgency, constipation). While the precise mechanisms that lead to enteropathy are not well understood, combinations of trigger factors (e.g. diet, stress, exposure to external antigens, environmental insults including infection) are believed to develop into a continuing cycle of altered gut microbiota, immune dysregulation, gut barrier dysfunction with permeability changes, and nutrient malabsorption, which serves to further amplify and prolong this cycle of events. The study’s purpose is to evaluate the safety and effectiveness of oral nutritional therapy Serum-Derived Bovine Immunoglobulin (SBI) on nutritional status, amino acid metabolism, bile acid synthesis, epithelial barrier function, and mucosal expression of pivotal genes including tight junction, secretory mechanisms, tissue repair proteins and chemokines in subjects with IBS-D.
EnteraGam™ (serum-derived bovine immunoglobulin/protein isolate, SBI) is a prescription medical food product indicated for the clinical dietary management of enteropathy [e.g., in diarrhea-predominant irritable bowel syndrome (IBS-D) and HIV-associated enteropathy]. EnteraGam™ is required to be used under physician supervision as part of ongoing medical care for a specific condition or disease. EnteraGam™ is also indicated for the clinical dietary management of enteropathy in patients who, because of therapeutic or chronic medical needs, have limited or impaired capacity to ingest, digest, absorb, or metabolize ordinary foodstuffs or certain nutrients. For full prescribing information, please click here to visit our product website. Entera Health, Inc. is focused on improving worldwide health through the development of clinically safe biotherapeutics to address unmet needs. Our passion is to help people thrive through healthier living. Our motivation for conducting basic research, clinical studies, and appropriately educating patients and healthcare providers is driven to meet this goal. Click here to visit our company website.